End Table | Spooky end table made from Checker Set Too. 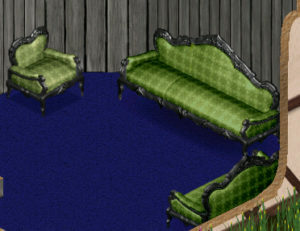 Chair, Sofa, and Loveseat | Chair (base by Sir4Sims), sofa (base by Dincer Hepguler), and loveseat recolored in a slimy green. 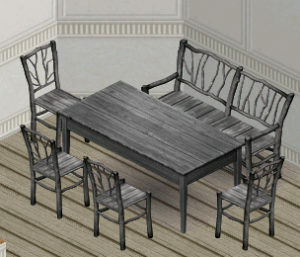 Dining Set | Chair, Bench, and Table recolored in spooky gray. 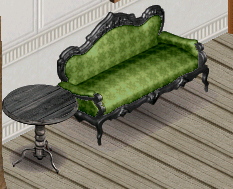 Windows and Doors | The saloon window and matching add-ons done in spooky gray.